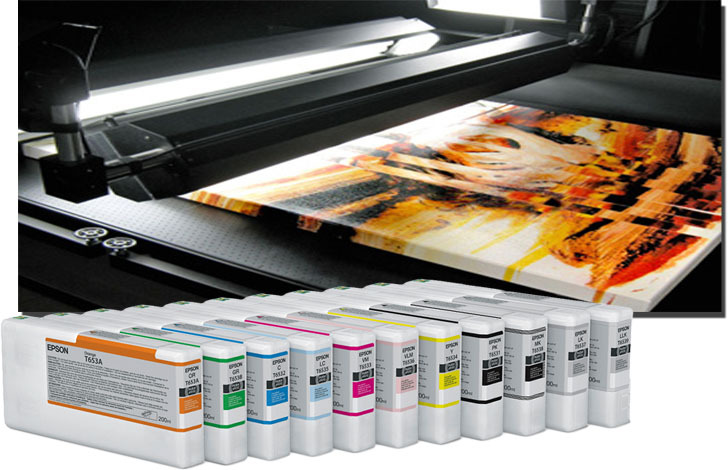 Our professional wide format scanning and printing service is ideal for photographers and artists as we can print on a wide range of media and will create an exact replication of your art work. Not only will you have a digital backup, you will be able to offer limited edition prints of your master piece, which only increase the value of your work. As we scan and print on site, we are able to create any size print from any size piece. If you are not totally convinced your art would get the justice it deserves, we are happy to produce a test print prior to payment, as we guarantee our work is nothing but excellent! We treat each image as if it were the only image. We prepare and inspect each image for print individually. No two pieces are ever the same so they shouldn't be treated the same when it comes to reproducing. To get the very best printed reproduction you need a "digital darkroom" to fine tune each image so that sunsets look more vibrant, skin tones more natural and colours more realistic - that's where we make a difference. At The Studio, we favour the Hahnemühle brand of paper. It has proven itself to perform consistently and predictably. We have had custom ICC profiles made for all our printers so can maintain uniform results from 6x4 up to A0 size. Photo Luster 260gsm is a classic photo paper. The resin coated substrate material has a microporous inkjet coating which is specifically designed for photo application. The low-weight, bright white photo inkjet paper has a smooth surface with a luster finish. 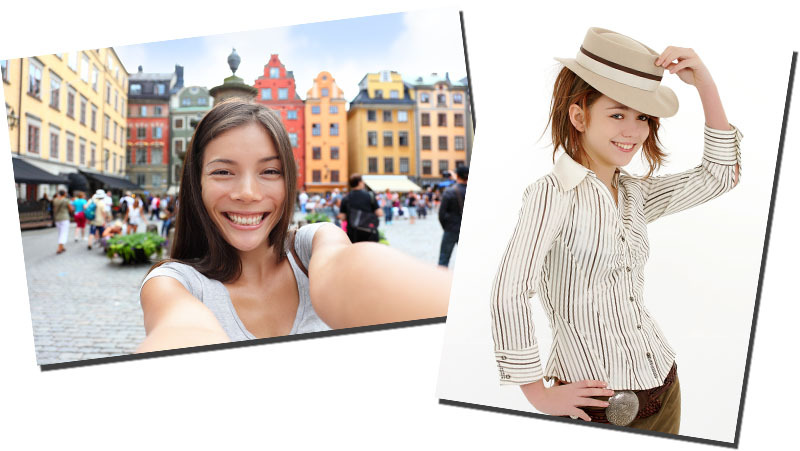 It excels with its very good print quality, ensuring the best results for photos, poster prints and photo books. It is perfectly suited for daily use. Photo Luster 260 has long been the main paper stock at The Studio. It is simply perfect for photographic use. It has 100% sharpness & colour gamut and has a good finger print resistance. Hahnemühle German Etching 310gsm is a traditional mould-made copperplate printing paper, complete with an inkjet coating designed especially for Fine Art applications. The white art paper made from 100% alpha cellulose is characterised by its extraordinary velvety tactile feel and its fine, clearly defined felt structure. The unique surface texture adds a very special touch to images, showcasing them in all their splendour with impressive three-dimensional effect and depth. The premium matt inkjet coating guarantees outstanding print results with excellent reproduction of colour and detail, deep black and optimum contrasts. German Etching is acid- and lignin-free and meets the most exacting requirements in terms of age resistance. This heavyweight Fine Art inkjet paper is one of the most popular paper for Fine Art prints and art reproductions thanks to its characteristic tactile feel and surface texture. German Etching has long been the most popular paper with artists visiting The Studio. It is a perfect choice for reproduction of paintings. The weight and feel of this paper is simply superb. The archival qualities of this media let artists sell editioned prints of their work with confidence. Hahnemühle Photo Rag® 308gsm is one of the world’s most popular papers and the valued all-rounder for high-quality Fine Art inkjet printing. The white cotton artist’s paper, with its characteristic, wonderfully soft feel, boasts a lightly defined felt structure, lending each artwork a three-dimensional appearance and impressive pictorial depth. Combined with the matt premium inkjet coating, this paper produces outstanding prints that feature brilliant colours, deep blacks, striking contrasts and perfect reproduction of detail. This acid- and lignin-free classic meets the most exacting requirements for age resistance and is specially designed for Fine Art applications. Whether it is used for Fine Art photography or art reproductions, the ideal combination of structure, print quality and weight makes Photo Rag® one of the most versatile Fine Art inkjet papers. Photo Rag is ideal for photographic or Fine Art prints. It has all the desired characteristics of the German Etching paper, but is favoured by artists who like a smoother surface texture.